By Prince Dornu-Leiku: Former IBF Bantamweight champion Joseph King Kong Agbeko returns to the ring on February 22 against Colombian Luis Melendez for the vacant International Boxing Organisation (IBO) Bantamweight belt when he fights in Accra for the first time in 6 years. 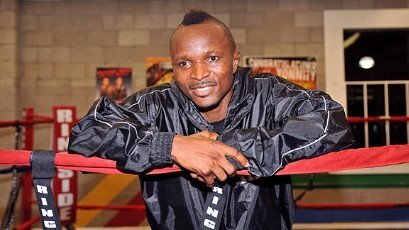 Scheduled for 12 rounds at the Accra Sports Stadium, it will be the former two-time world champion’s first bout since losing the bid to unify the IBF Bantamweight and WBC Silver Bantamweight titles against Abner Mares way back on December 3, 2011. Promoted as the maiden bill of the newly launched Fresh King Entertainment syndicate, the fight against Melendez (34-8-1, 25 KOs) will also be the first time Agbeko, 28-4, 22 KOs will be fighting on the homeland since claiming a 4th round TKO against Baba Nsor on March 23, 2007 at the Azumah Nelson Sports Stadium in Accra. Also expected to fight different opponents on the night of February 22 are the duo of Emmanuel Tagoe AKA Game Boy and George Ashie alias Red Tiger who recently clashed for the WBA International Lightweight title in what was arguably the biggest and most popular boxing promotion in the history of this country on November 10, 2012 in what was the debut promotion by BabyJet Promotions headed by Ghana national football team captain, Asamoah Gyan. It a standard Fresh King Entertainment CEO and Promoter, Ebenezer Noye, pledges his outfit are up to exceed all expectations after expressing their excitement at the opportunity to sell a first world title fight of this quality to Ghanaians and the world since 1988. “Ghanaians have been deprived of quality world title fights in 24 years, well over two decades. We pride ourselves as the true beacon of African boxing with our achievements in the ring over the years so this is great news to rekindle unmatched boxing interest in the country and the continent,” Mr. Noye noted in a press release. Accordingly, the Fresh King Entertainment capo reckons that the two boxers have enough quality to thrill the 40,000 crowd at the Accra Stadium and the millions who will be watching the world over on an expected live beam via Supersport on DSTV. “Agbeko and Melendez are considered bantamweight greats and it’s a rare privilege to watch the two fight live in Accra, Ghana and Fresh King Entertainment is working hard to ensure a good show is delivered on 22 February,” Eben Noye stated.